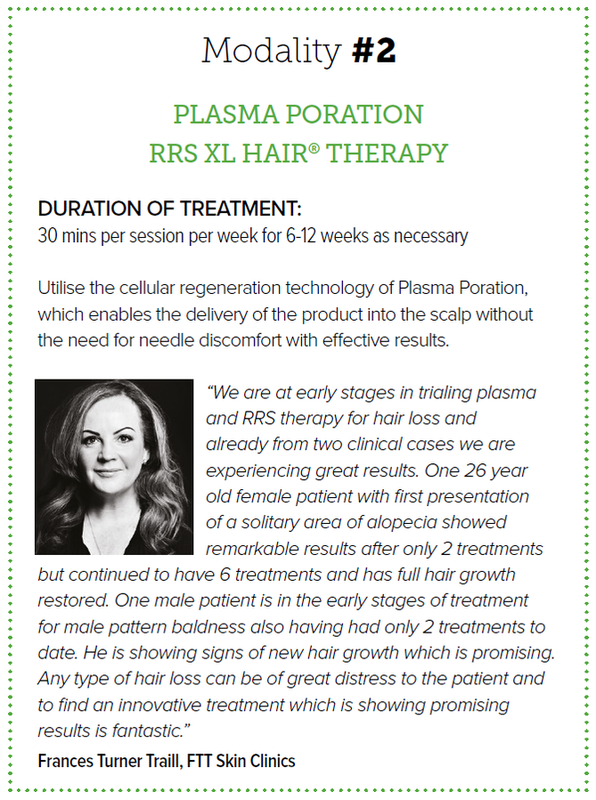 WHAT IS RRS XL HAIR®? 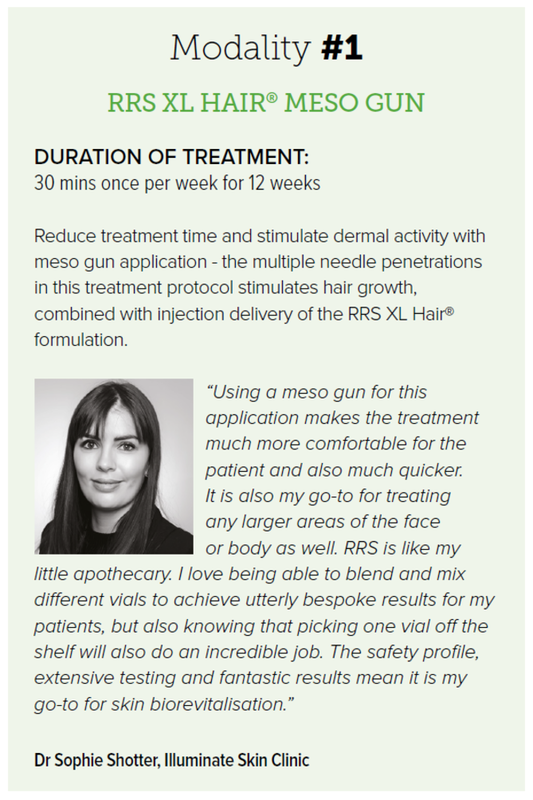 RRS XL Hair® is a dermal filler containing non cross-linked Hyaluronic Acid solubilised in a solution to treat alopecia. 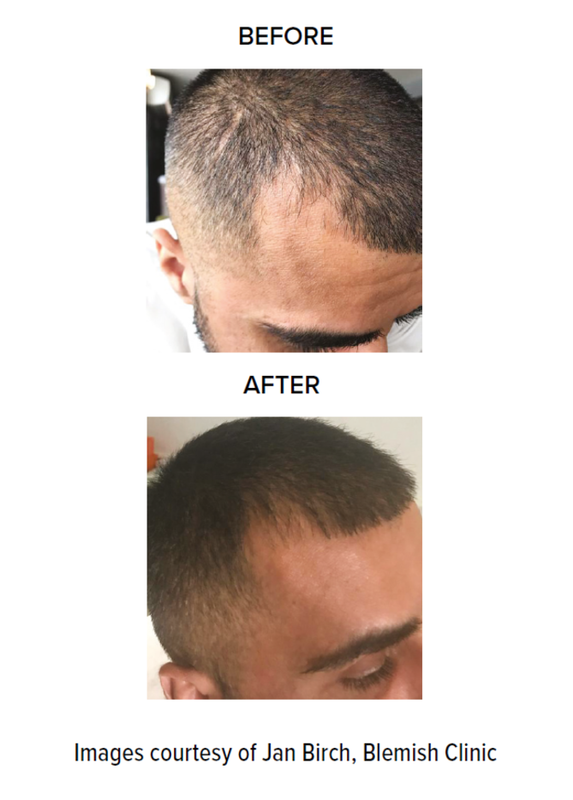 A dermal implant for alopecia areata, telogen effluvium, anagen effluvium, pattern alopecia, RRS XL Hair® is formulated to activate hair restoration by increasing proliferation of human papilla cells. 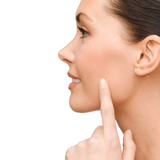 When alopecia takes place there is insufficient ‘cross talk’ between the scalp cells and skin matrix. 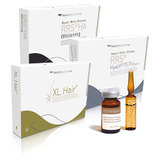 The restructurising and moisturising capacity of Hyaluronic Acid in RRS XL Hair® provides the scalp with exceptional hydration and biostimulation. Hyaluronic Acid is known for its ability to restructure the intercellular matrix and allow more efficient physiologicol ‘cross talk’ between hair root cells and the intercellular matrix. 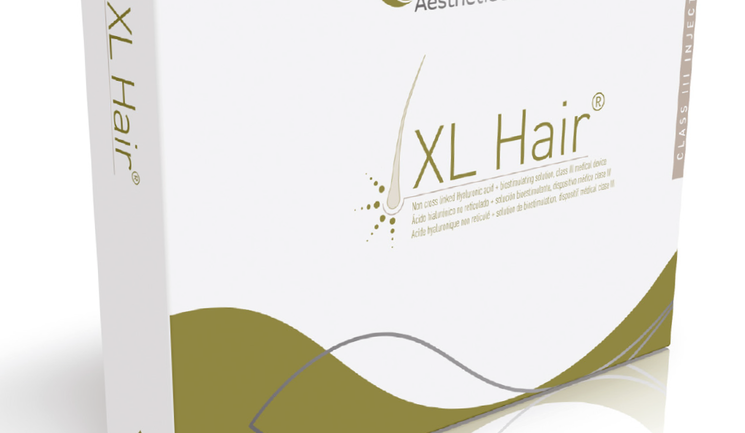 Following an in vitro study, XL Hair increased cells proliferation by 23%. 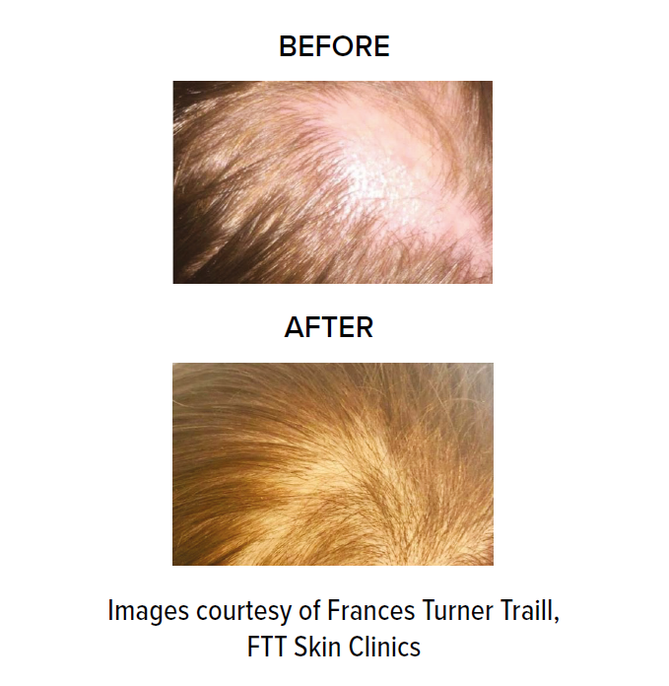 Featuring Fibroblast Growth Factors, terpenes, vitamins, flavonoids, organic silicium, amino acids and non-cross-linked HA, XL Hair is one of the few successful non-surgical treatments for hair loss.